PlayStation Experience 2017 has come to an end, which means Capcom Cup 2017 has crowned a champion! Whether you visited our booth at PSX, attended any match at Capcom Cup, or were watching it all from your couch at home, thank you for the support as we bid 2017 farewell. It’s been an incredible year for Street Fighter V as we brought Akuma back for Season 2 and introduced five brand new characters to the series, each with their own unique stories, designs, and playstyles. Season 3 will add all-new fighters to the roster, but we’ve also got four familiar faces that should make all Street Fighter fans excited for 2018! In the past, we ended each year by showing silhouettes of the characters for the following year’s Season, but this time, we revealed all six for Season 3 at once using the cinematic opening for Street Fighter V: Arcade Edition! Fan-favorites Sakura, Blanka, Cody, and Sagat will return in 2018 and will be joined by newcomers Falke and G – two mysterious fighters we can’t wait to show you more of. Coming up first is the exuberant youth herself, Sakura! Making her first appearance in Street Fighter Alpha 2, she has now graduated from high school and searches for a deeper meaning of life, all the while continuing to challenge her rival, Karin, and her idol, Ryu. 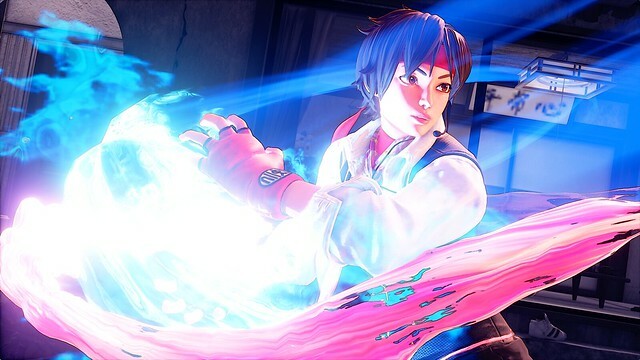 This time, Sakura has a few new moves in addition to her signature emulation of Ryu’s playstyle. Sakura will be available on January 16, 2018, the same day Street Fighter V: Arcade Edition comes out. If you purchase the Season 3 Character Pass, you’ll receive not only Sakura, but her Battle Costume with colors 3-10 and Default Costume colors 3-10 unlocked! 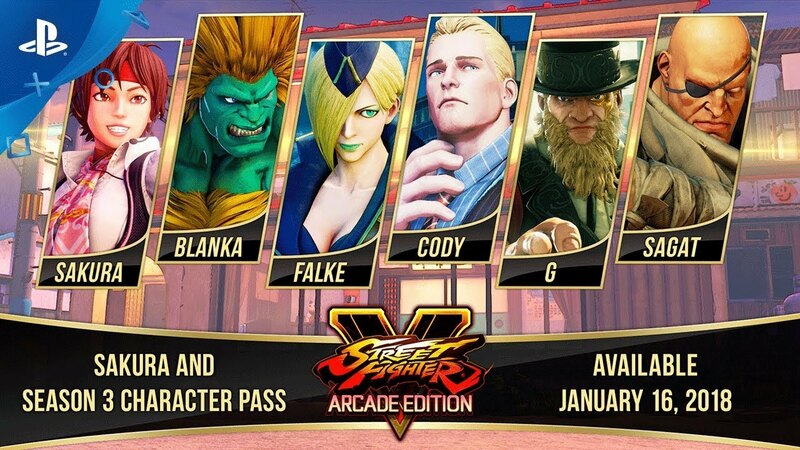 Season 3 Character Pass holders will automatically get Blanka, Falke, Cody, G, Sagat, and their Battle Costumes and colors when they’re ready to join the fight in 2018. Beginning with Season 3, if you purchase each character individually with real money, you’ll also get the same Battle Costume and colors as you would if you have the Character Pass. If you have ever wanted to test your classic arcade skills against fighters around the world, Street Fighter II: Hyper Fighting, Super Street Fighter II: Turbo, Street Fighter Alpha 3, and Street Fighter III: 3rd Strike are all playable online! Each of these four titles will have their own global leaderboards to prove you really were unbeatable in your local arcade. Online play features new “rewind” technology that provides low-latency matches with the ability to adjust your own input latency! Journey through the Interactive Timeline where you can browse all 30 years of Street Fighter and see how the series has evolved. The Museum contains stunning concept art, pitch documents, and little-known facts behind each game’s release. You can also explore all your favorite character’s bios and discover the story behind the fighter. Finally, sit back and let the nostalgic notes of memorable Street Fighter tracks flow through your ears as you imagine yourself watching each fight in person. We’re incredibly excited to bring you this collection so you can celebrate Street Fighter’s 30th anniversary with us! We have much more to share, so here’s to 2018! The Street Fighter 30th Anniversary Collection will be available for MSRP $39.99 in May 2018 on PlayStation 4. Where is the ultra street fighter IV? Come on, Sony. 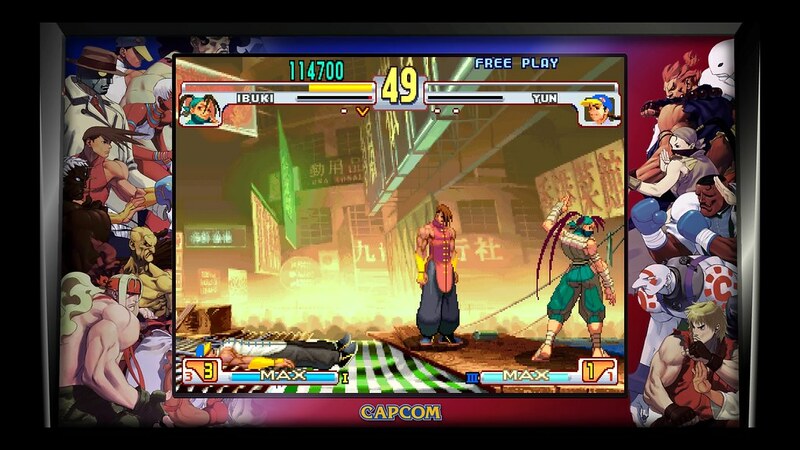 Extra disc with USFIV. The game is available on PSN. Not Sony, Capcom. Capcom made the game and it’s gonna be on all 3 systems so sony has nothing to do with what’s in it. it is of sony’s interest that the game sells more on PlayStation. she can help. USFIV (HD) is a console exclusive made by Sony… not Capcom!! That is not how it works. SONY didn’t make the HD port of USFIV. They have published/paid for the port to some degree, but they didn’t make it. We don’t know the exact deal, but it’s quite obvious that SONY/Capcom have a very tight relationship this generation. Between SFV, RE7, Monster Hunter: Worlds, and the rumored DMC5…The evidence speaks for itself. To “make” a game, you would have to be the developer, not the publisher. In regards to the IP and USFIV…Capcom still owns it. The company to ask to include USFIV would most certainly be Capcom. It wouldn’t hurt to ask SONY, but it is not their ultimate decision in the end. If USFIV is indeed a Playstation console exclusive, it means Capcom is beholden to an agreement with Sony, and if they would like to legally include the game in a package that is sold on other consoles, the decision to allow the inclusion of the game would in fact belong to Sony. PS4 port by Sony… not Capcom… Capcom made a original USFIV… Uprade to HD version on PS4 is by Sony. Again…That’s not how it works. SONY paid for the port, cause they wanted it only for PS4 and Capcom wasn’t that interested in paying up. Sony gets the exclusive port, Capcom doesn’t have to pay, and both parties agree to the deal…yada yada yada. That still does NOT mean Sony owns the port. Capcom is not bound under redistribution (for the same title) under that platform to ask SONY if it’s okay to include in the collection. What sounds way more likely, is that it is unnecessary. Often times “Collections” are incomplete. The “Collections” are everything else that wasn’t already HD/Remaster/Ported onto the console. They already have Ultra Street Fighter IV for PS4. Cannibalizing on their sales for that version with a collector’s edition that includes it as well is up to them, and they likely felt it was unnecessary (they being Capcom). Yes, there were definitely some deals and agreements that go into the contract between SONY and Capcom for this port. No, SONY does not own the title’s redistribution rights for a collector’s edition. What would “likely” happen if Capcom decided to include that as well, is that SONY would be getting a cut from the collection. In that regard, it makes complete sense for them not to include…But they are under no legal obligation to not include it. They own the title. They just can’t port the work SONY paid for to another platform. Simple as that. Unless SONY completely purchased Ultra Street Fighter IV or Street Fighter entirely…They cannot mandate redistribution of the port as part of a re-release/reprint/collection within the same platform. For those that are interested in USFIV (at least for the game itself, and not as part of the collector’s edition) it’s on sale right now via the PSN for $9.99. Considering this for the PlayStation Blog…I wasn’t even referring to the other versions. It’s quite plausible to include a separate edition exclusively for the PS4 that includes USFIV…But again, that’s in Capcom’s bag. When will the digital version of this be available on the ps store? There’s a sale now for season 1, 2, and the game around 40 but I want those extra costumes with pre order. I could get it for 32 from Amazon, but I want digital. I’m excited with Capcom lately. But honestly, Capcom needs to put out on disc Ultra Street Fighter IV and Devil May Cry 4 Special Edition. You can import the disc version of DMC4 Special Edition. The Asian version has English menus and voiceover. But I second the disc release for Ultra Street Fighter IV. Sorry, that comment was meant for the convo above. was really hoping for gouken to make a comeback. So hyped for both these titles! I’m getting the SF Collection Day 1 but no Ultra Street Fighter II and Street Fighter Alpha 3 Max is a missed opportunity. Also we NEED a disc version of Ultra Street Fighter IV. Give me a disc collection of that and you my money easy. I’d go crazy for a Marvel VS series collection too, but I doubt it will happen. Marvel/Disney already ruined MVC:I and they don’t seem inclined to do ANYTHING to please longtime VS series fans. Yoooo bro you Definitely know what everyone who’s been gaming since the early 90’s at this moment wants. That Marvel VS Capcom Collection would be dope as hell. Not only will Capcom bring back customers/gamers but it would help them in turn bring back the older games like dalkstakers & mega man legends (hopefully). Exactly. This is Capcom’s chance to get back in older fans’ good graces AND bring in new fans. They have golden opportunities that they shouldn’t miss. They need to release a vs. Collection. That marvel vs. Capcom origins collection was lame with only 2 games. We need them all. Really excited for season 3 of SFV! Unlike Friday’s PSX disaster, I was glad I took the time to watch the Capcom Cup. Wonderful day for Street Fighter fans, IMO. 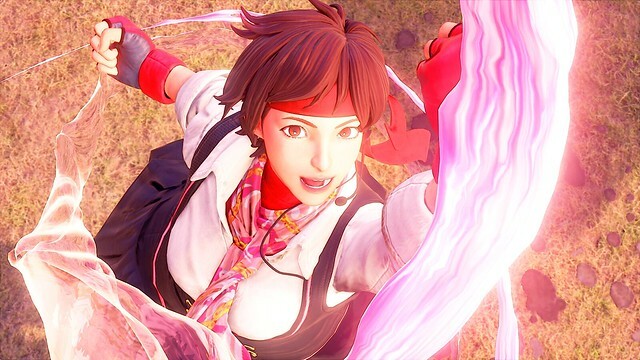 Sakura looks awesome in SFV, and 30th Anniversary collection is a day 1 buy for me, too! Add SoulCalibur 6 into the mix and 2018 is looking fantastic for fighting game fans. what is the pricing for the 30th anniversary gonna cost on ps4 and disc based or both digital and disc ? will capcom continue to make similar stuff for ps4 with like marvel vs capcom etc make a collection for us ? Awesome news! I’m curious though, will SFV:AE be updated to support HDR or 4k in any way? I love Season 3… PERFECT. Very happy to see Sakura coming. Gives me a reason to start playing it again. I’m also curious about that “G” guy. I’m happy Sakura is back but why does she look like a Fortnite character? I am soooo happy this is coming to switch! 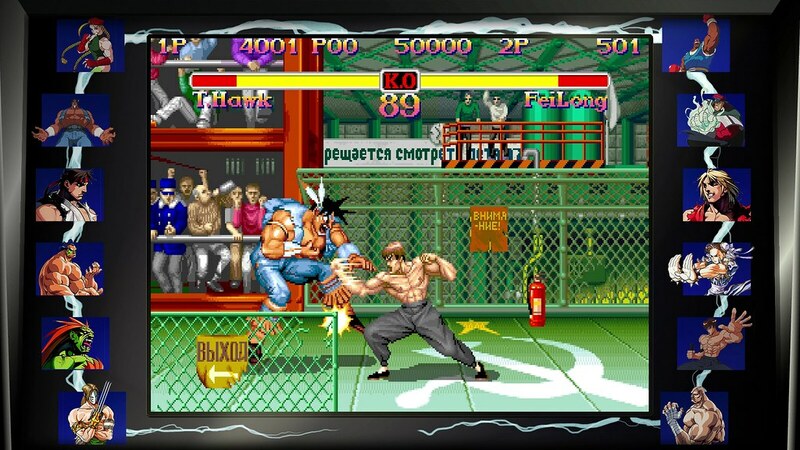 I always wanted a portable version of street fighter 3. Now if I could just get a port of ultra street fighter 4 on switch I would be beyond happy. Go ask somewhere else then this is not place ******** troll. Looks like the best season so far. Y’all wanting a disc of USF4 go out and buy it for PS3 which is where the game belongs.SF4 should’ve never been on PS4 specially with SF5 on it or about to release don’t remember when it released anymore but same goes for UMvsC 3…it should’ve stayed on PS3. With that said nice treat for fans but 5 different versions of SF2?…lol y’all can’t be serious. My first SF was SFV and I really like SFV. How different would SFI-SFIII compare? I just wonder if I would even like it. Amazing news! I’ve been waiting for Blanka since SFV was launched! And I will for sure buy the anniversary collection: thanks CAPCOM!